CNG is one of the largest independent shippers of gas in the UK. The commercial energy supplier delivers power to over 50,000 businesses with flexible, simple solutions that provide clarity and accuracy. CNG requires a monthly meter reading from their customers but previously had no facility to remind businesses of this prior to sending out an estimated invoice. Upon receiving the estimated invoice, many customers would call with accurate meter readings. CNG would then need to put resources behind crediting and re-issuing a new invoice, a costly and time-consuming process. 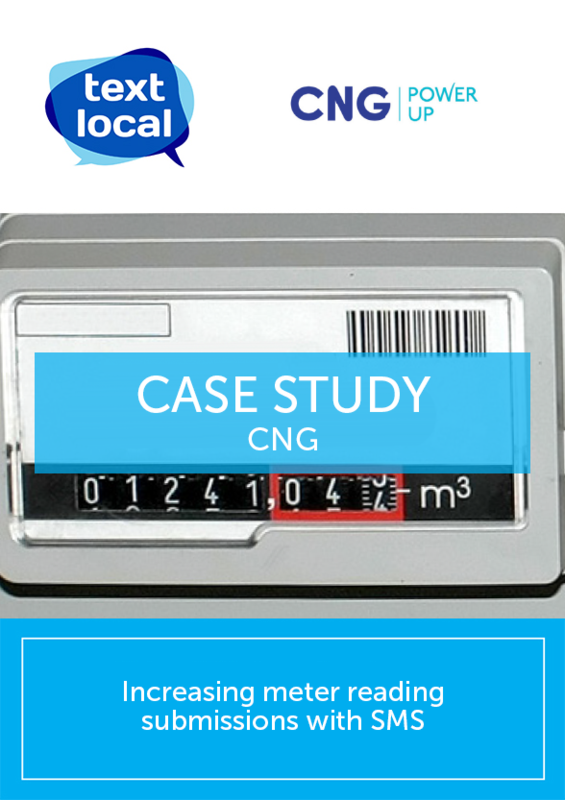 With their customers often preoccupied with the daily running of their businesses, CNG decided to share monthly meter reading reminders via SMS. The SMS includes a link to the online submission form which is directly linked to the CNG system. Staff are able to use the form submissions to pick up on any unusual usage and get in touch with the customer to check the meter reading is correct. Since using SMS to remind their customers that their reading is due, CNG now has an average of 3000 more meter readings a month. One of the biggest things for CNG is the reduction in time and costs associated with crediting and reissuing estimated invoices. It seems their customers are in agreement about the positives of SMS, having recently undertaken a customer experience exercise with KPMG. CNG customers responded to surveys and focus groups by saying they really appreciate the monthly reminder. Additionally, a number of those who weren’t receiving SMS have now opted into the service given the feedback.